Get it at a nice slashed price! WPA, Military Classic, .30-06 Springfield, FMJ, 168 Grain, 20 Rounds is rated 4.9 out of 5 by 11. Rated 5 out of 5 by BillyBob from Great Value I don't compete. When I shoot I like to have tight groups. This ammo is at a great price and I had nice tight group. Rated 5 out of 5 by FrankMMIII from Nailed It! Using my Remington 700 with a Leupold 3x9 scope, my 13 and 17 year old sons and myself were nailing our 10in. AR500 steel rifle gong at 200 yards. We purchased the rifle gong right here on Sportsman Guide and it has taken a lot of abuse but still takes those 30.06 rounds like a champ. The WPA 168gr 30.06 ammo is good stuff for target practice. Round after round was placed into the 10in. plate causing it to swing violently with satisfaction. The wind was blowing pretty good that day causing the Remington Soft Point 150gr bullets to miss slightly but once we loaded the 168gr WPA ammo consistency was the norm. I'm buying more as I type this now. Rated 5 out of 5 by Daniel from Decent ammo and pretty cheap. 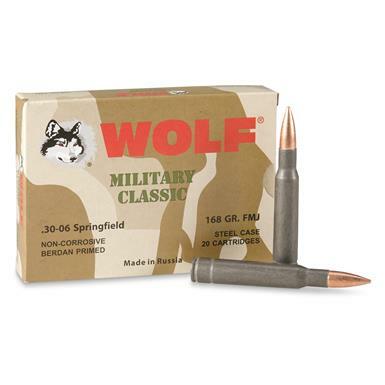 I was looking for some cheap target practice ammo and Wolf comes along with it's version of .30-06. The ammo shoots well and is relatively clean. Rated 5 out of 5 by Duane from One shot; one kill ammo I'm hesitant to write this review as I don't want the price of this ammo to go up! I got two boxes to do some long range plinking. However, it's the most accurate ammo I've shot from my 30-06 in 20 years. I shelved the $40 per box ammo & used it on my Coues whitetail hunt, dropping my largest buck ever with one shot. And at the price, I don't feel guilty about taking a lot of practice shots at the range. Rated 5 out of 5 by Homeslice from It was a great price and fast shipment. I wanted cheap and I got great deal! Rated 5 out of 5 by Daniel from Very good ammo As far as steel cased ammunition goes, wolf makes some of the best for all around shooting. Got free shipping from sportsmansguide, so what's not to like. 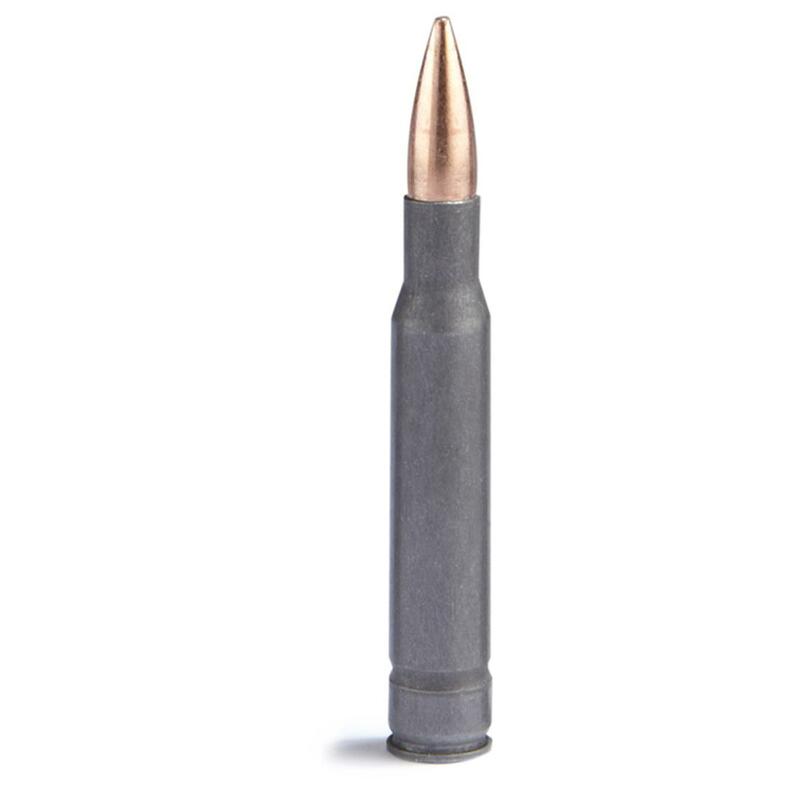 Rated 5 out of 5 by jim d from good price The ammo works great, fast delivery. Rated 4 out of 5 by Tennessee man from Good price Ammo today is way over priced so this is a real good deal. Built to replicate original military performance.